We've been incredibly fortunate to be partnered up and work with Pro Skills Trainer, Drew Hanlen of Pure Sweat Basketball for the past few years. 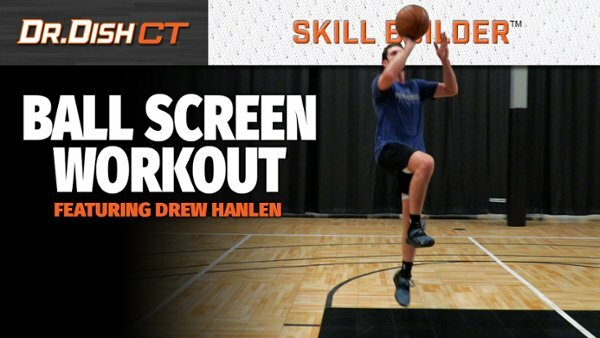 Drew has continued to help us create great game-like drills and workouts that programs and players can utilize to accelerate skill development. As we prepared for the launch of our NEW Dr. Dish CT training machine, Drew was able to join us in the Dish Lab to showcase a few of his favorite progressions while using the the CT. In this series, Coach Drew focuses on how to attack the wing ball screen depending on how the defense is playing. Check out the full breakdown below! If a ball handler can master each one of these options, he/she will be extremely difficult to cover in a ball screen situation! For more basketball drills and complete workouts like this one from Coach Drew and other elite level trainers, make sure to check out the Dr. Dish Training Management System and App. You can even request a demo here. Stay tuned for many more workouts coming from Drew! For more articles and tips like this, make sure to subscribe to our blog newsletter on this page! Click for more info on Dr. Dish basketball shooting machines.